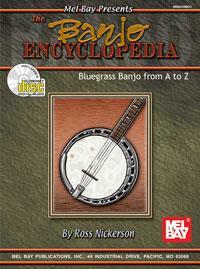 BANJO ENCYCLOPEDIA, Bluegrass Banjo from A to Z, Nickerson. CD TAB. How hard should I pick? How often should I practice and for how long? Making Common Banjo Licks "Bluesy"
Common bluegrass song beginnings or "kickoffs"